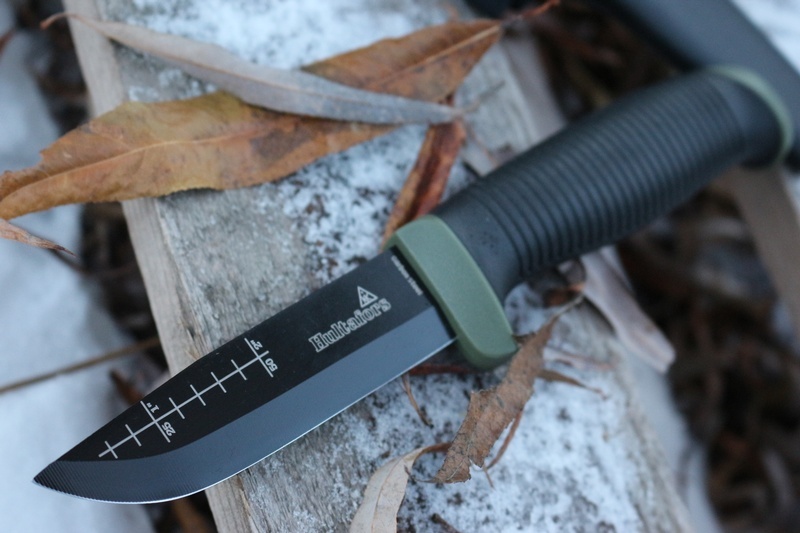 Brand new from Swedish company Hultafors, these are a new and updated heavy duty Survival version of their popular work knives. The New OK4 uses the excellent Japanese high carbon steel with a hefty 3.0mm stock thickness, its has an extended tang (82mm) for extra strength Santoprene extra grip handle and a squared spine. The EPD coating provides blade protection and the drop point scandi ground blade at 60HRC is a great all around shape, superb cutter and easy to sharpen. Great grip from the rubberised handle with palm swell and deep finger guard.The knife comes with a PP Sheath with nylon halter and a holder for a firesteel. A durable outdoor knife with friction grip suitable for though tasks in the field. The hardwearing textile beltloop allows up to 80mm wide belts and is equipped with a pocket for a fire starter. The blade has a scandi grind and is made from Japanese knife steel, 3.0 mm carbon steel that has been hardened to 58–60 HRC and has a rust protective electrophoretic deposition coating to withstand corrosion. 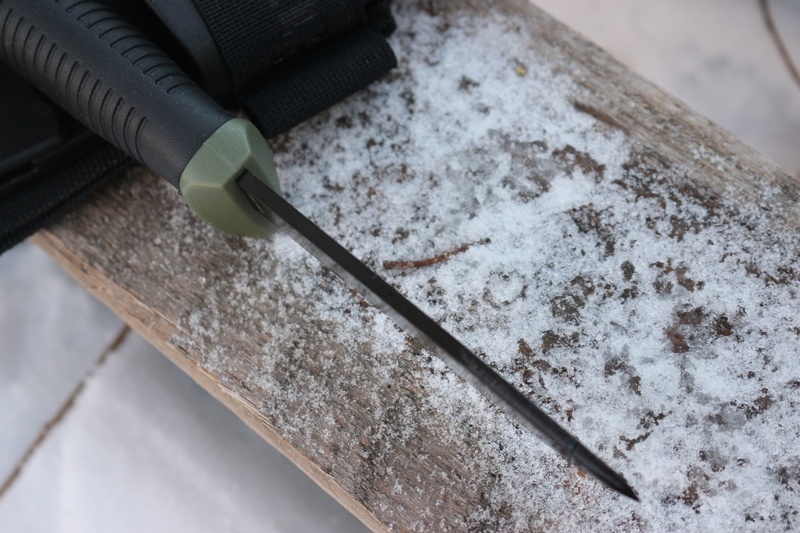 The grinded spine of the blade is designed for starting a fire with a fire starter. The cutting edge has a scandi grind for superior sharpness and is easy to resharpen. A protective electrophoretic deposition coating (EPD) for best rust protection. 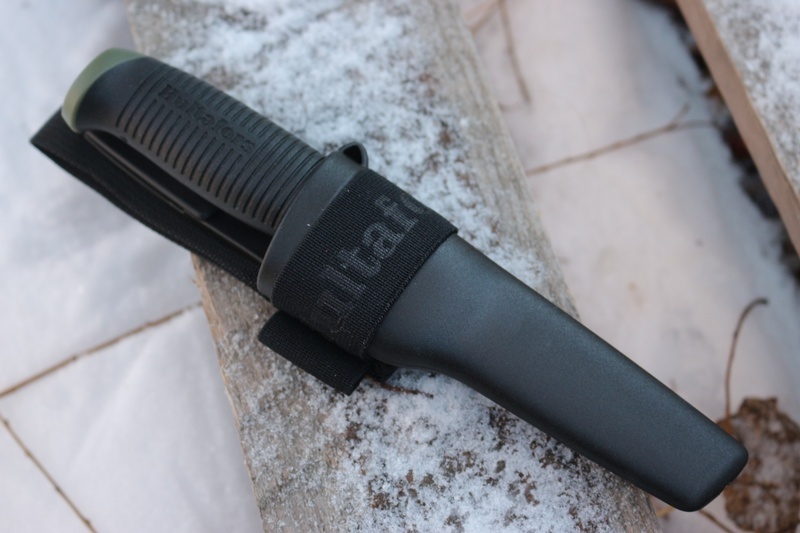 The handle is made from super-durable PP plastic and fitted with a Santoprene friction grip. A long tang makes the knife very durable. The textile beltloop allows up to 80mm wide belts and is equipped with a pocket for a fire starter. It is also detachable if you want to attach the holster to the button on your work clothes. Grinded spine for use of fire starter and scale engraved on blade is optimized for outdoor usage. 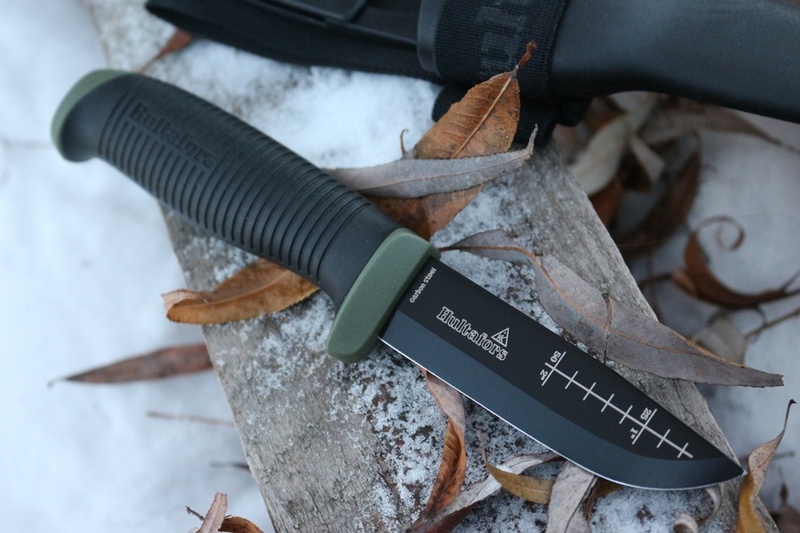 Purchase through PayPal by using the "Add To Cart" button above or use the form below to order the Hultafors OK4 Survival Knife . 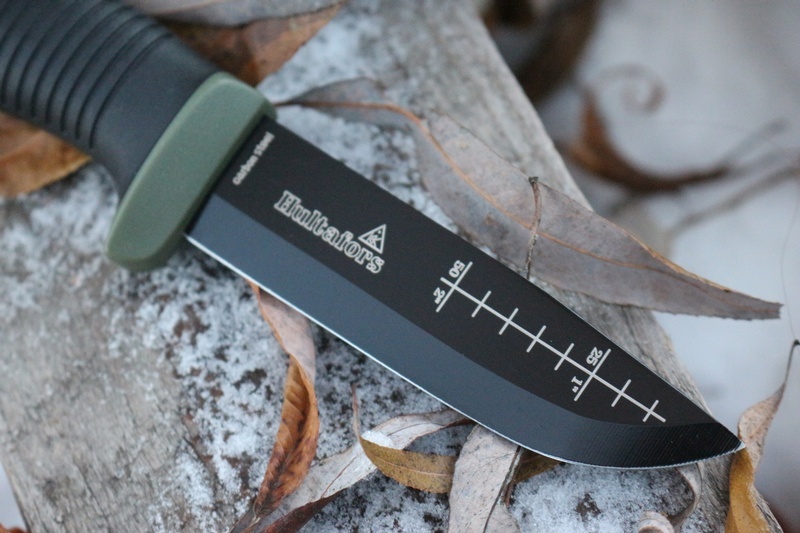 Feel free to contact us if you have any questions about the Hultafors OK4 Survival Knife .